Abstract: Navies worldwide are facing more and more strict requirements regarding reduction of fuel consumption, for environmental and operational reasons. Diesel engines are attractive for naval propulsion due to their low fuel consumption. However, with conventional control strategies they can suffer from overloading and can only provide limited acceleration. In this paper, we propose torque control and adaptive pitch control as alternative control regimes. 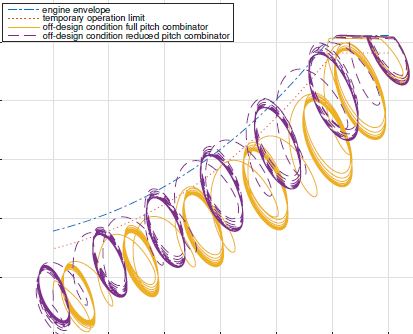 In simulation experiments, we investigate the resulting propulsion system performance. The integration of several dynamical models of ship components allows investigating performance characteristics such as engine thermal loading, fuel consumption, acceleration and cavitation noise emission. Torque control could reduce thermal engine loading with 4% and torque control combined with advanced pitch control strategies could improve acceleration performance, while further reducing thermal loading, fuel consumption and cavitation noise. An advanced controller that uses the proposed strategies will make diesel engines even more attractive for mechanical and hybrid naval propulsion. Reference: R.D. Geertsma, R.R. Negenborn, K. Visser, J.J. Hopman. Torque control for diesel mechanical and hybrid propulsion on naval vessels. In Proceedings of the 13th International Naval Engineering Conference and Exhibition 2016 (INEC 2016), Bristol, UK, pp. 476-492, April 2016.